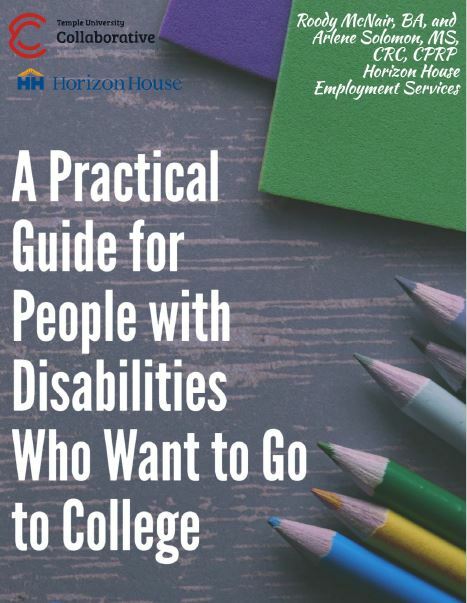 This document provides a practical guide to help people with disabilities who want to pursue their education goals at a community college, career institutes, four-year college or university or graduate school. The guide provides an overview of the challenges and supports needed to help achieve this goal, including finding the right school, locating supports at your school, managing your disability and your education, and using your new educational qualifications in the search for a better job. Other areas addressed include assessing your own interests and skills, funding your education, disclosing your disability, and locating supports and services to succeed at school. This versatile guide can be used by consumers, rehabilitation and/or case management personnel, and family members/friends or individuals with disabilities.